← Ma, I have 1 tooth already! 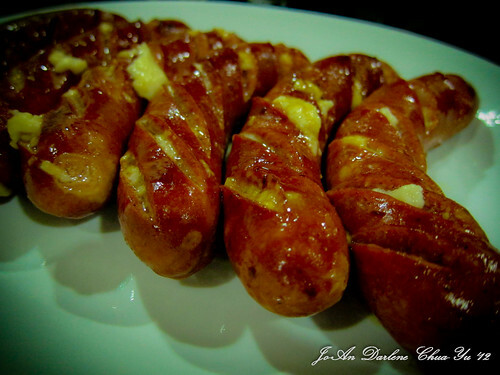 This is gourmet bought cheese sausage from Agila. 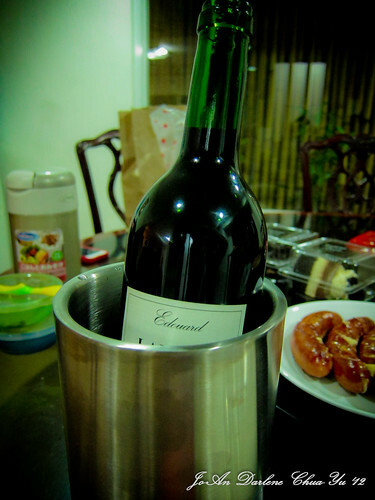 We bought it at Quezon City Sports Club. You can use cauliflowers as a substitute. This is a perfect vegetarian dish also. 1. In a medium Sacepan, combine milk, cream cheese, flour, salt, pepper, garlic powder and cayenne. 2. Cook over medium-high heat, stirring, until mixtures comes to a slow boil, 5-7 minutes. 3. Remove pan from heat; stir in the cheeses and mustard until cheese melts. 4. 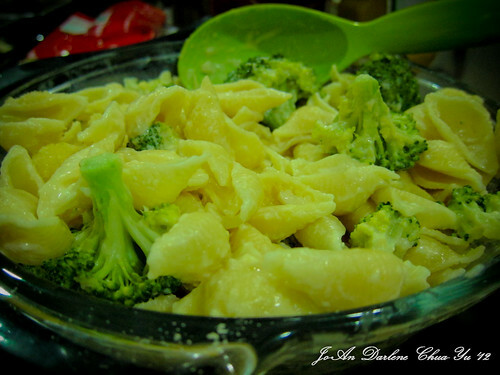 In a bowl, toss pasta with brocolli; pour cheese mixture over the top and stir. 1. Pat chicken dry and season with salt and pepper. 2. Heat oil over moderately high heat until hot then brown chicken on all sides. Transfer to a plate. 3. Saute onion, bell pepper and salt to taste. 4. Cook over moderate heat until softened. 5. Add garlic, paprika, and rice, then cook, stirring, 1 minute. 6. Add wine and boil, uncovered, 2 minutes. 7. Stir in tomatoes with juice, chicken broth, saffron and bay leaf. 8. 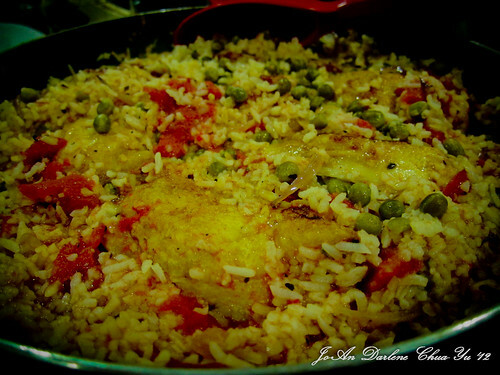 Nestle chicken in rice. 9. 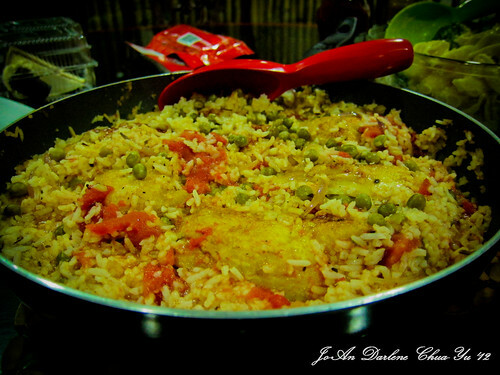 Cook covered over low heat until chicken is cooked through rice is tender and the liquid is absorbed, about 15 minutes. 10. Remove from heat and stir in peas, olives and salt and pepper to taste.